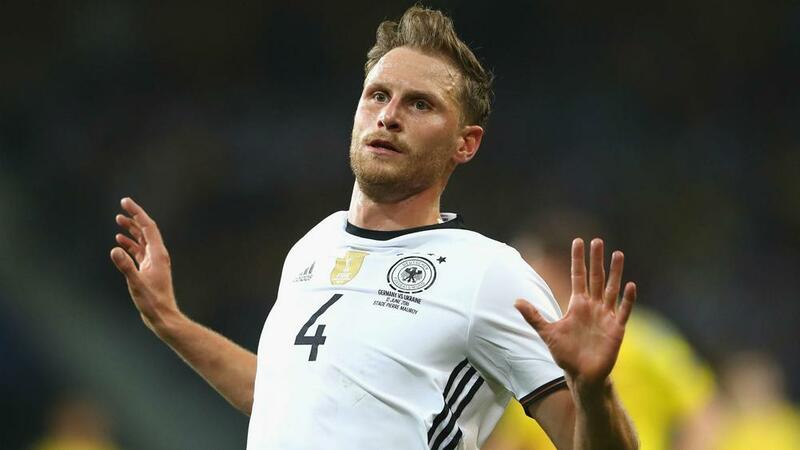 Germany are going to have to do it the hard way if they want to add the European title to their World Cup crown, but Benedikt Howedes is relishing the prospect at taking on the best the tournament has to offer. Joachim Low's side are overwhelming favourites to overcome Slovakia in their last-16 tie on Sunday, but far greater obstacles await in the subsequent rounds. With Italy or Spain next, Germany may have to overcome hosts France in the semi-final if they get that far, but that is no problem for defender Howedes. Asked who he would most like to face, the 28-year-old told the DFB website: "France – the hosts. The atmosphere would be amazing for sure. It would be great to experience that." And the Schalke man believes Didier Deschamps' side could win the competition, adding: "Spain and France are my favourites." France and Germany met at the 2014 World Cup in a quarter-final tie settled by Mats Hummels' early header.